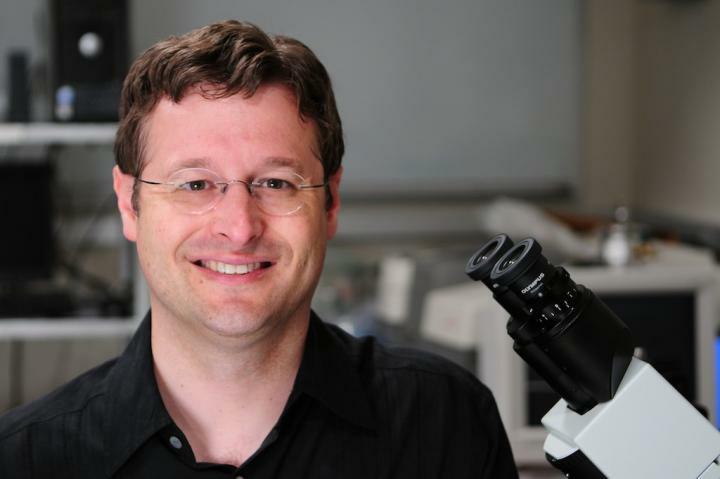 "In the end, the product of this research is going to be a new field of science where we can make literally almost anything in a way only seen in nature," said James Brozik, the Donald and Marianna Matteson Distinguished Professor of chemistry at WSU. "This is the kind of research I dreamt about doing when I was an assistant professor 20 years ago and being able to actually do it is the opportunity of a lifetime." The two principal investigators for the Keck grant, Brozik and Kerry Hipps, Regents Professor of chemistry, have decades of experience in molecular spectroscopy, single-molecule research and material science. Their team will include two postdoctoral fellows and two graduate students who will work full time on the interdisciplinary project for the next three years. "This cutting-edge research is a prime example of the innovative work being done by our faculty in chemistry, as well as in units all across the WSU system, and contributes to our goal to be among the top 25 public research universities in the nation by 2030," said Larry Hufford, interim dean of the College of Arts and Sciences. All life on Earth is made up of groups of atoms that form simple molecules, or monomers, that then band together to form larger, more complex molecules, or polymers. For the last 30 years, scientists have been fascinated by the idea of using scanning probe microscopy, a technique to visualize and manipulate objects at the atomic level, to build precisely designed synthetic polymer materials and devices from the ground up, one atom at a time. However, the challenge with this approach is that it takes far too long to build anything useful. Atoms are extremely small. Around five million of them can fit side by side on the tip of a pin. At current rates, it is estimated it would take 31-trillion centuries to build even the simplest real-world devices with current technology. "There is currently no way in chemistry or engineering to make any kind of material 100-percent pure," Hipps said. "The notion of being able to create unlimited quantities of polymer materials with exactly the same lengths and exactly the same atomic sequences is nothing less than revolutionary." Hipps and Brozik have come up with a unique solution. The researchers plan to use scanning tunneling microscopy to painstakingly arrange individual molecules onto specially designed metal surfaces, forming templates for simple, self-replicating polymers. Their goal is to make around 1,000 of these templates, which will be designed to exponentially reproduce exact copies of themselves from chemical feed stock, resulting in very large quantities of material quickly. "Making the templates is literally going to be like carving glyphs into stone, but once that is done the templates can be replicated over and over again using standard chemical processes," Hipps said. "In the long run, we envision our technology being linked up to something like a 3D printer. An operator would select a material or device to make on a computer and then an automated program would start replicating whichever templates are needed, building the device to exact specifications one atom at a time." Based in Los Angeles, the W. M. Keck Foundation was established in 1954 by the late W. M. Keck, founder of the Superior Oil Company. The foundation's grant making is focused primarily on pioneering efforts in the areas of medical research, science and engineering and undergraduate education. The Foundation also maintains a Southern California Grant Program that provides support for the Los Angeles community, with a special emphasis on children and youth. For more information, please visit the W.M. Keck Foundation website.